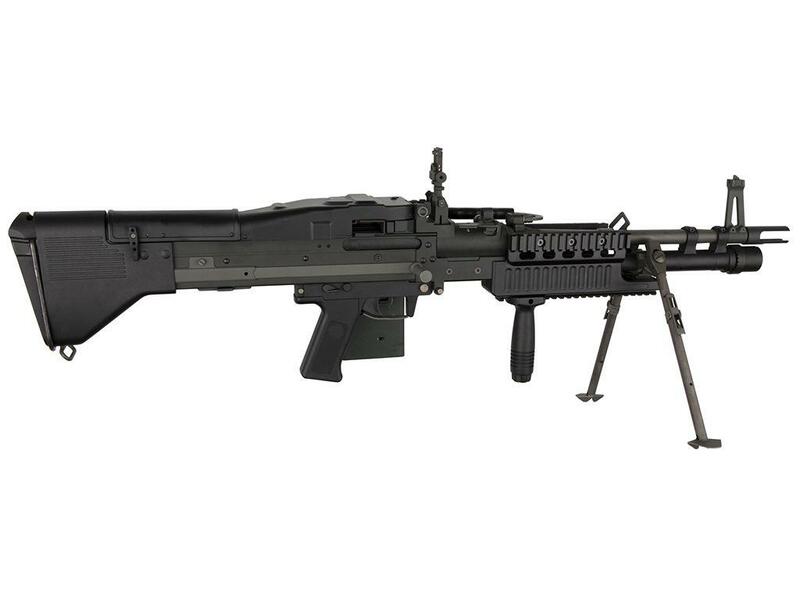 ASG M60E4/Mk43 Commando Airsoft Rifle |ReplicaAirguns.ca | New Website! Comments: Looking for reliable back-up during tactical missions? 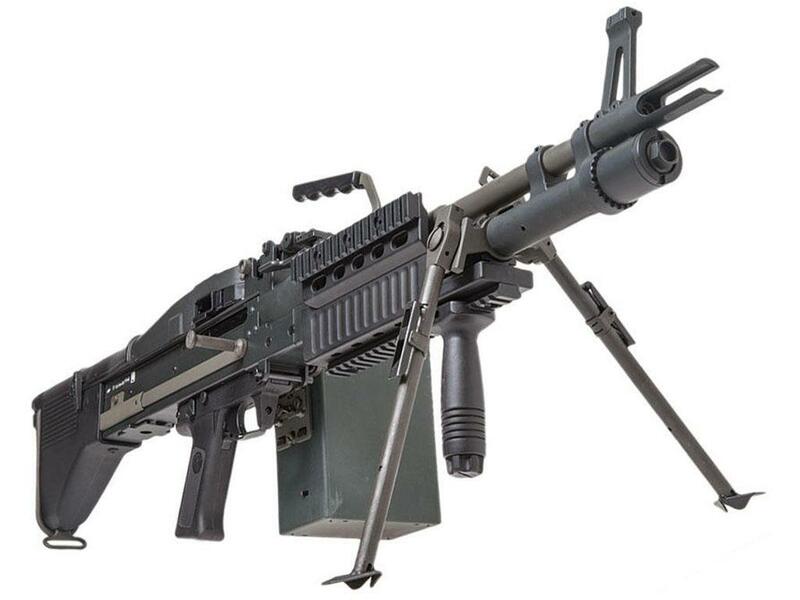 The ASG M60E4/Mk43 Commando Airsoft Rifle offers ultimate support. 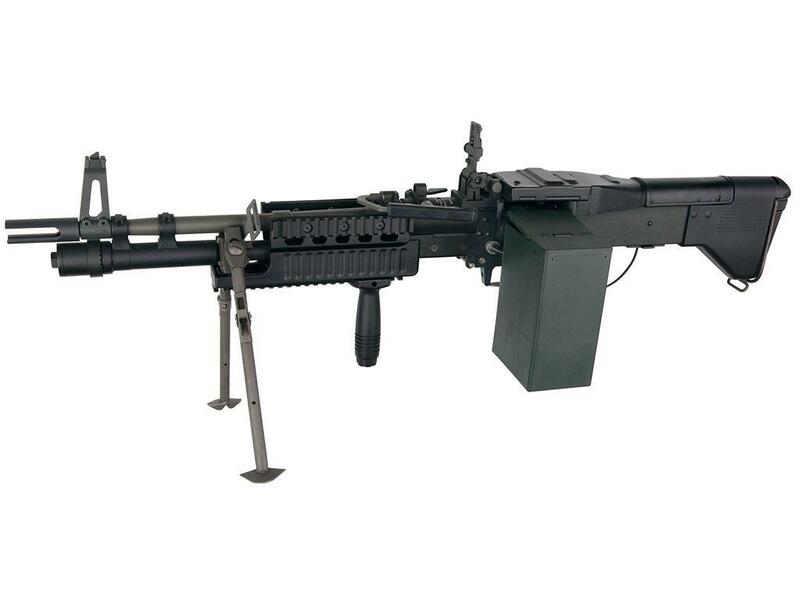 Just like its real steel counterpart, this authentic full metal machine gun has a motor-driven system to feed BBs out of its 4,000 round box magazine at a steady rate. 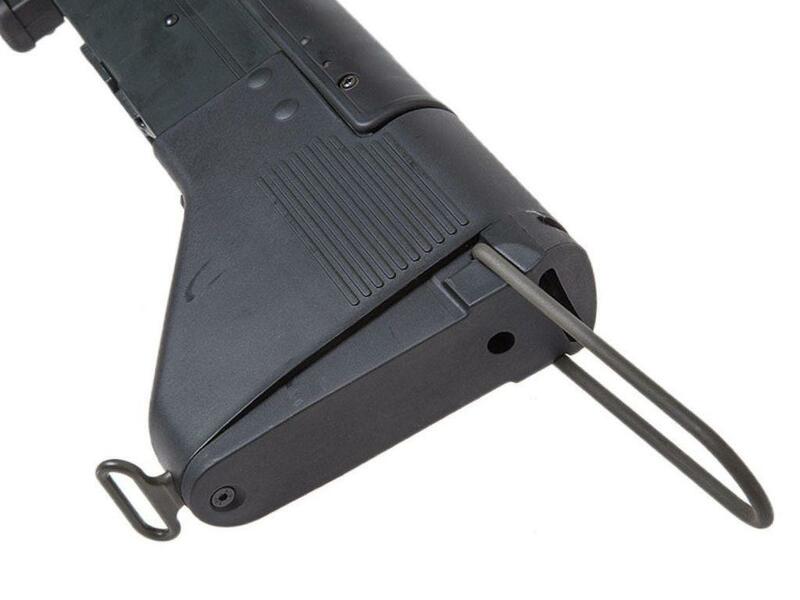 On the front there are accessory rails for adding on scopes, mounts, or lasers, in addition to a built-in steel bi-pod. Built like a tank with the power to match, this is the weapon you want on the battlefield. Batteries and charger not included.